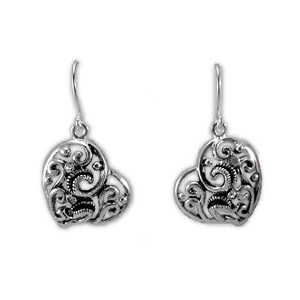 These simple and delicate vine inspired heart earrings are lovely and great to wear every day. They serve as a reminder of God’s love or the love of that special someone. Silver plate. 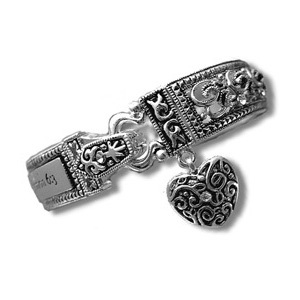 The “My Beloved Heart” earrings complement our “My Beloved Bracelet”. 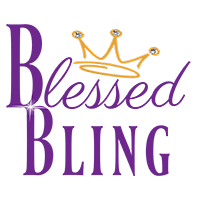 Purchase both the earrings and the bracelet and receive a $6.00 savings on the earrings, plus your shipping on the earrings will be FREE! Measures 5/8″ wide x 5/8″ length.